RHRLI’s hair loss solution is the ARTAS® system and it will change your life. ARTAS® is a robotic follicular unit extraction (FUE) procedure that offers hair restoration with precision unavailable to those who opt for follicular unit transplantation (FUT), often called “strip surgery,” or procedures which involve the use of a handheld device. RHRLI is the only hair restoration treatment center on Long Island that offers ARTAS® FUE hair transplants and nobody else has the RHRLI edge. Our board-certified surgeon, Dr.Baiju Gohill meets with all of our patients. He’ll explain the procedure and answer all of your questions. It’s the first step to restoring your self esteem. 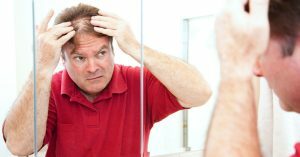 So, why does the loss of hair cause men to lose self esteem? 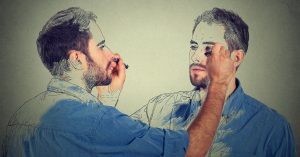 David Fenton, of the British Association of Dermatologists, tells the BBC that he thinks media depictions of physical perfection cause men to want perfect hair. “People create confidence and self-esteem from it, and when they lose even a little bit, if their character and confidence is based on that, they’re going to have severe emotional and psychological impacts,” he says. Adam Khoudja, a police officer and Army National Guardsman from Wayne, N.J. told ABC News, he decided to seek surgery after a female co-worker commented on his hair loss. “That didn’t just ruin my day — that stayed with me,” he said. More and more, hair restoration surgery has become a preferred solution. It’s increased by 27 percent since 2012, according to the website Healthy State. The American Hair Loss Council suggests talking to a hair loss specialist who can help women make decisions about their hair loss. Let RHRLI Help You Restore Self Esteem! There’s no reason for hair loss to destroy your self esteem. With ARTAS®, most patients report little to no pain. We offer the most precise hair transplant available on the market and you’ll be back to your normal life with a new sense of self esteem in just a few days. To learn more, contact RHRLI today.